The recent Ukrainian Revolution and the events that followed it changed the entire country, and with it the video game industry. The Ukrainian devs told us about the burning streets, evacuations, and financial losses, but also of a new chance to grow. There were many occasions when we proved in our articles that video games can be made almost anywhere: in the remote culture of Iran, in Cameroon, where one third of population lives in poverty, or even in the isolated North Korea. But for the global gaming community games from the Third World countries are mostly curiosities – titles that have no chance on the great digital markets of the world. The gold-laying part of the industry operates almost exclusively in peaceful, wealthy regions, such as the European Union, United States, Canada, or Japan. Peace, however, tends to be fragile. Ever since the end of 2013, Ukraine is constantly being reminded of that fact. That year Kiev witnessed the eruption of anti-government protests, caused by the then-president, Viktor Yanukovych’s decision to suspend preparations for signing of the Ukraine-EU Association Agreement. The authorities’ attempts to contain the protests caused them to spread beyond the capital. 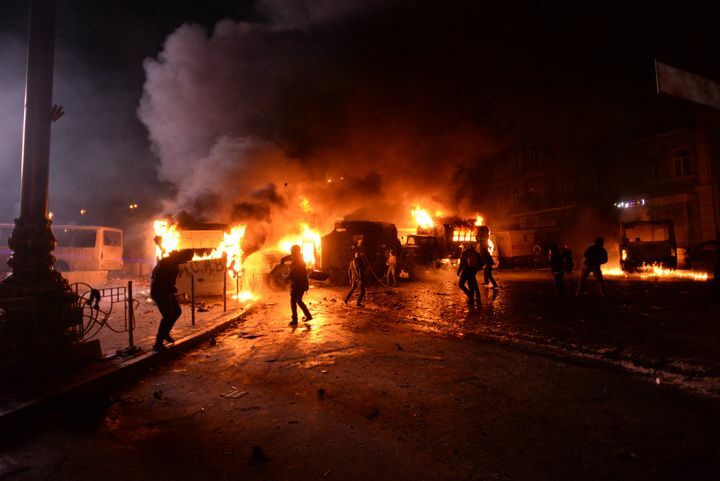 In February 2013, after a series of riots that claimed several dozen casualties, Yanukovych signed an agreement with the opposition and fled the country. Soon after that, the forces of the Russian Federation annexed the Crimean Peninsula. Meanwhile, in eastern Ukraine fighting broke out between the Ukrainian army and separatist forces supported by the Russian Federation. The violence is yet to see its end. Ukraine is home to many games with dedicated fanbases. The S.T.A.L.K.E.R. series is one of the most popular examples. Obviously, the political turmoil was not without its consequences for the local gaming industry. Ukraine wasn’t perhaps a giant of digital entertainment, but it could hardly be ignored on the global map of the industry. It was thanks to Ukrainian developers that we had the chance to play such popular series as S.T.A.L.K.E.R., Cossacks or Metro. The revolution from three years ago took its toll on video game developers, although they didn’t always fight on the front lines. We’ve spoken to several game devs, from smaller and more prominent teams alike, who have agreed to talk to us about the condition of digital entertainment in a country torn by war. What have the Ukrainian developers given to the Western gamers? A lot of good games in fact, as they have been releasing critically acclaimed titles for a long time. 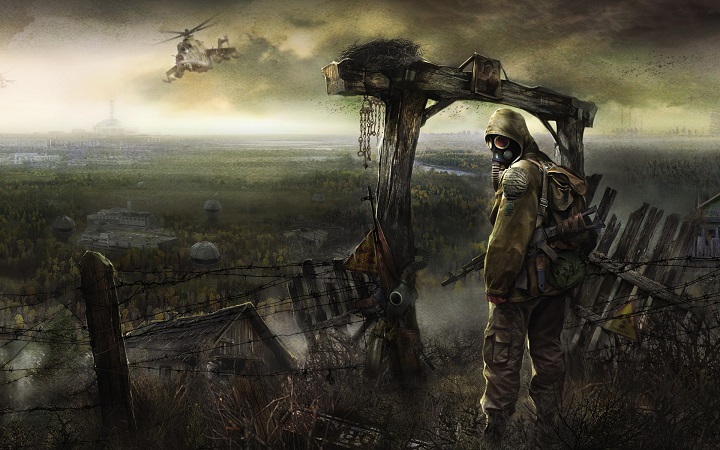 The most popular among them are the two post-apocalyptic franchises: S.T.A.L.K.E.R. 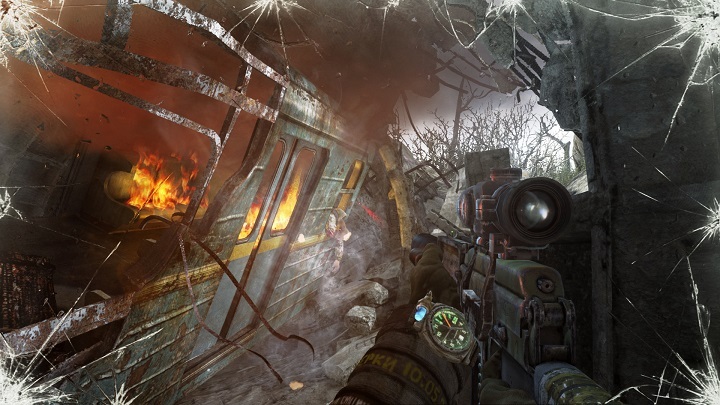 and Metro, created by GSC Game World and 4A Games, respectively. The former team also created the RTS series Cossacks and an FPS title Codename: Outbreak. 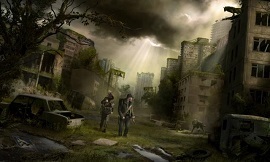 Yet another recognizable title from Ukraine is the online shooter Survarium. And then there’s the award-winning series of Sherlock Holmes adventure games from the Kiev-based intependent developer Frogwares. The beginning of the demonstrations did nothing to foreshadow the drastic consequences that were to follow the November protests. According to Daniel Kyrsa, a designer working for a Kiev-based studio that wished for its name to be ommited in this publication, for a long time their team worked as it always did, despite the fact that the studio was located barely a few hundred meters from the Independence Square, the location that became the heart and the symbol of the entire Euromaidan movement. This situation changed on February 18, 2014. “I was about to pass the checkpoint leading to our building, when all of a sudden people started throwing smoke grenades, bricks, stones – anything they could get their hands on – on the national guards”, recalls Daniel. Daniel pulls out a photograph, showing a street blocked with piles of burning tires. “This is the road we used to take when leaving our office to have lunch”, he explains. Oleksandr Mamzurenko, working for another Kiev-based team, Red Beat Games, adds his impressions of that dreadful situation. “The whole city center was a battlefield. Right from the windows of our office we could see the Special Forces storming the building of an independent news channel”, he says. At some point it became too dangerous to come to the office. Daniel’s colleagues worked from home, supporting the protesters whenever they could. “We slept maybe for four hours a day. We had to make a living somehow, but there was a revolution just outside our windows”, says Kyrsa. “Many of my friends were gathering tires and supplies for the protesters. I helped coordinate vehicles that were working >>in the field<<, picking up the injured who couldn’t go to hospitals”. In February, the streets of Kiev became a battlefield. Despite that, many game developers helped the protesters in their free time. Developers’ engagement in the protests wasn’t something unusual, even in the biggest Ukrainian studios. Oleg Yavorsky from Vostok Games recalls how his company supported the pro-European revolution: “A part of the team would join a demonstration the moment they left the office, sometimes staying on the streets until late at night. That’s how most of the city residents spent their days then”. Maksym Hryniv, the founder of Mokus Games who lives in Lviv came to Kiev just to participate in the protests. “After my earlier experiences with demonstrations, I expected this one to be peaceful as well. I had no idea how wrong I was”. Of course, chaos on the streets led to a drop in morale. “No one suspected something like this could happen in our country”, says Mamzurenko. “We were utterly devastated”. As with every countrywide internal conflict, political disputes arose among the team members. According to Daniel Kyrsa, “there were some tensions in our office, as some people supported Yanukovych, sometimes calling the protesters barbarians. I also heard, although not officially, that some companies fired people for their political affiliation”. Artem Vidloonnya, founder of the independent studio Vidloonnya Reborn, admits, “At the time, we had many such conflicts. We even had to break off cooperation with some of our contributors”. At the same time, Kiev-based developers insist that despite the streets turning into a battleground, none of the offices were ransacked by the protesters. “People smashed some booths and bus stops to build barricades”, explains Daniel, “but there were very few cases of looting”. 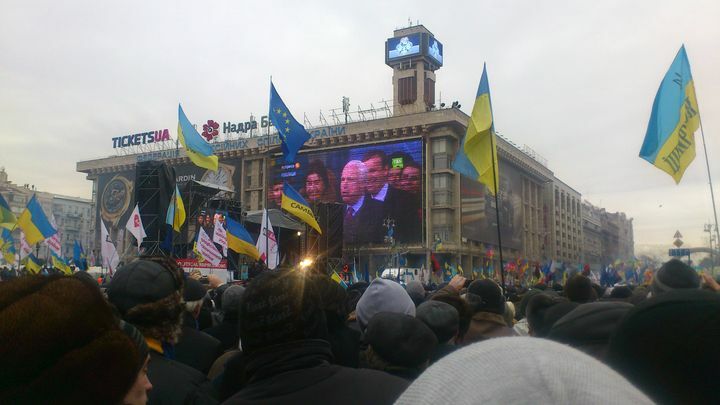 Mamzurenko agrees: “The protesters took over some government buildings, but our offices remained intact”. The Euromaidan and the new government did little to improve the situation of video game industy – in fact, with the political change the problems began. Nuclear Union was to be the most ambitious project to come from the eastern Ukrainian developer BestWay. 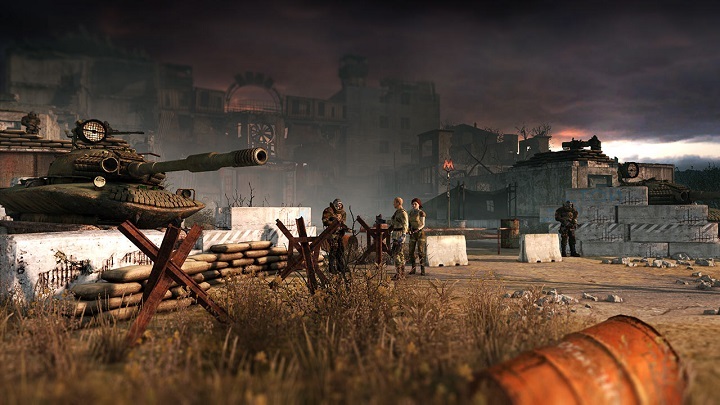 The Ukraine crisis, however, led the Russian publisher of the game to cancel the project. Soon after the climax of the revolution Yanukovych had to flee the country; but if the devs thought it was the end of their troubles, they were badly mistaken. 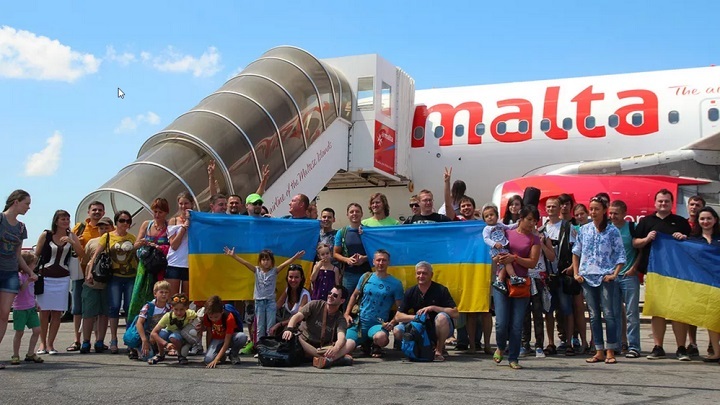 Spring of 2014 marked the beginning of the Crimean crisis, forcing many teams to pack all of their equipment and flee the peninsula as fast as they could. For the companies that were based there, the Russion annexation of the region was a disaster – and not really for patriotic reasons. “Due to the sanctions, you couldn’t sell your game on Steam, Google Play, or App Store, you couldn’t send and receive payments…”, lists Oleksandr Mamzurenko. “Even the biggest Russian telecommunication providers don’t offer their services out there.” Few independent developers decided to stay on the peninsula – others left, either to other regions of Ukraine or to Russia. Things looked significantly worse for the devs working in the Eastern part of the country, where the separatist movements, backed by Russia, moved in full swing after Yanukovych fled Ukraine. Boolat Games, a mobile and PC game developer, had its HQ in Donetsk. The civil war forced the team to move to Kiev. They got off easy, because despite the fights they were able to safely reach their new location and continue working. According to Daniel Kyrsa, not all refugees were as lucky. “I know of some dev teams at Donetsk and Lugansk that had to leave their offices at a moment’s notice, leaving behind all of their equipment”. Some offices found themselves on the very frontline for a moment. Even communicating with these regions proved to be difficult; according to Oleg Yavorsky, getting tax records for two Eastern employees of Vostok Games turned out to be virtually impossible. In summer 2014, the developers of the Metro series decided to move to Malta. Despite that, they declare to have remained a Ukrainian studio at heart. The thing that shook the video game market the most, however, was not the violence at the Independence Square; neither was it the pro-Russian separatism nor the annexation of Crimea, although they certainly were shocking events for the devs. The economic crisis, a natural consequence of any revolution, hit them even harder, as many of them had investors from abroad. The most prominent case was perhaps the moving of 4A Games (known for the Metro series) to Malta. The company’s CEO, Andrew Prokhorov, said that if not for that difficult decision, his company would have been gone. “Every such disturbance causes the publishers to think your team is a risky investment. It takes years to regain that trust”, agrees Yavorsky. Maksym Hryniv and his studio experienced it first hand. “We were about to sign a deal with a major publisher, whose name obviously needs to be omitted. However, once the conflict with Russia began, we received a message saying that the situation in the country had become too unpredictable for investments”, reminiscences the founder of Mokus Games. “We lost a big contract and I’m sure we were not the only ones in such situation”. The fact that many Ukrainian devs had close ties to the Russian market didn’t help matters either. “Many business contacts were lost, forcing the studios to search for a new chance elsewhere. Not all of them were able to find it”, explains Mamzurenko. Independent teams, those without the financial reserves of a larger company, were the most vulnerable to the economic repercussions of the revolution. Transport was difficult; all commercial flights between Russia and Ukraine were suspended, forcing the devs to transfer in Belarus or Latvia on their way to meet their business partners. Artem Vidloonnya also adds that nearly all companies that provided outsourcing for the Russians were closed due to the conflict. After a long period of silence, 4A Games announced a new installment in the Metro series. But even among all this chaos there’s a silver lining. “Many devs decided to cut their ties with the previously secure and culturally similar Russian market, and ventured to to the West to sell their products there”, points out Mamzurenko. “The revolution motivated many people to get a fresh start, and try to create the game of their dreams”. The Ukrainian devs are slowly regaining investors’ trust, as the latter eventually understood that the situation on Ukraine, while hardly stable, has virtually no direct effect on the teams that are working in Kiev or Lviv. Various gaming events take place in the country; DevGAMM, an international gaming conference for game devs from Eastern Europe, is coming back to Kiev in 2018. Next April, Kiev will also host the Dota 2 Major Championships. Several small-scale events took place even despite the greatest political tensions, often attracting foreign developers. The change of government, despite the tragic circumstances surrounding it, brought some good things for the digital intertainment. “Up to now, the investors were terrified of the wide-spread corruption. No one could guarantee that your business won’t be suddenly taken over by one of the government-backed oligarchs”, explains Mamzurenko. “Under the late regime there had been virtually no chance for a business based on advanced technology to flourish”. Next year, the largest game dev trade fair of Eastern Europe, DevGAMM, will be back in Kiev after a four-year hiatus. Maksym Hryniv is less optimistic about the whole thing. “I don’t think the politicians have any meaningful plan to support private business”, he says. Still, he notices some small positive changes that were made possible by the new government, “We, a small developer studio, can finally sign contracts with large corporations, such as Google, Apple, or Microsoft, and sell our games on their platforms”. For now it seems like the situation could have been better, but the reforms are beginning to bear fruit, and the Ukraining gaming industry is moving in the right direction. Each of my interlocutors wrapped up the conversation with an optimistic accent – their companies are working hard on designing their new projects or developing their current ones; not one of them is thinking of switching to a different job. Their statements would suggest that if the the current trends prevail, the Ukrainian developers may finally be expecting good, exciting times after a period of very uncertain future. “The gaming community in our country is still developing and we have a lot of work to do. However, I believe that by joining the protests I made the right choice”, declares Hryniv. Under the previous regime, the Ukrainians gave the world such series as Metro, S.T.A.L.K.E.R., or Cossacks. Now, in the new political reality, they may be able to finally spread their wings. According to Oleg Mamzurenko, it’s an opportunity for the developers who previously never had a chance to show their work outside of Ukraine. “The Ukrainian devs always had something to convey with their games. Now, after all that had happened, we have even more to tell”, he concludes.